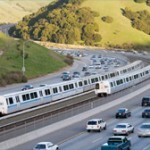 For over 10-years, Circlepoint has worked closely with the Santa Clara Valley Transportation Authority (VTA) to prepare CEQA/NEPA documents and provide communication services for the proposed extension of BART from the Fremont Warm Springs Station to the City of Santa Clara. Past environmental documents include an EIR, two supplemental EIRs and an EIS. 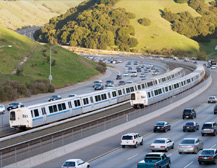 We are currently assisting with the preparation of a supplemental EIR/EIS for the last phase of the aligment (Milpitas to Santa Clara). Circlepoint was responsible for the overall management of the prepared environmental documents including the evaluation of eight proposed stations and the community services, energy, environmental justice, and visual sections. Circlepoint also conducted the community outreach meetings and media relations. 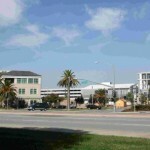 Design changes triggered the need for SEIR-2, for which Circlepoint identified the specific design changes and documented any new or altered environmental impacts associated with the project. Circlepoint is currently teamed with ICF International to complete the SEIS/ SEIR-3 through project approval and certification of the document. The SEIS/SEIR-3 encompassed the last 6.2 miles of the overall 16-mile extension.